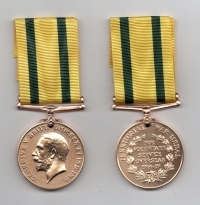 TERRITORIAL FORCE WAR MEDAL. 1914-1918. 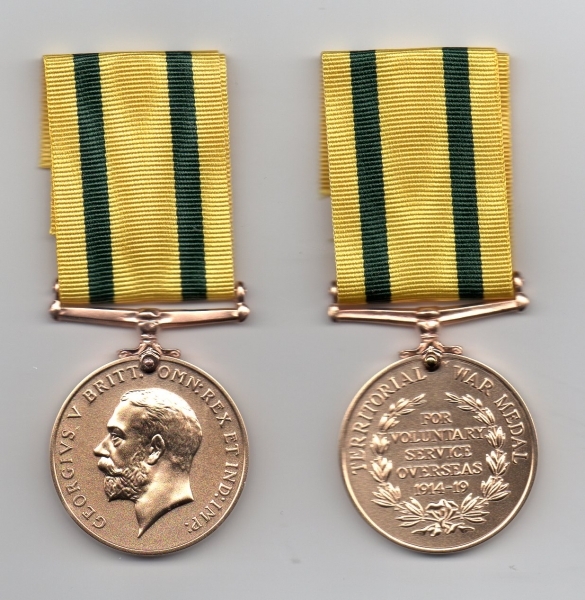 Awarded to those in the Territorial Force who had served at least 4 years before the outbreak of WWI, and had served abroad during the War, except those who qualified for the 1914 or 1914/15 Stars.